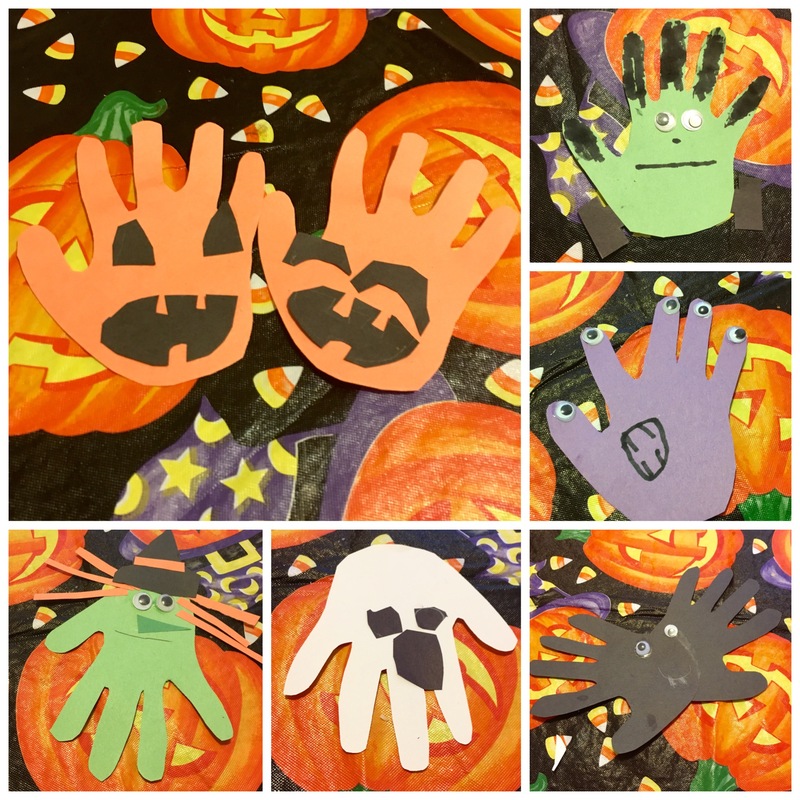 These easy homemade Halloween Handprint Wreaths make the perfect gift for grandparents and parents. 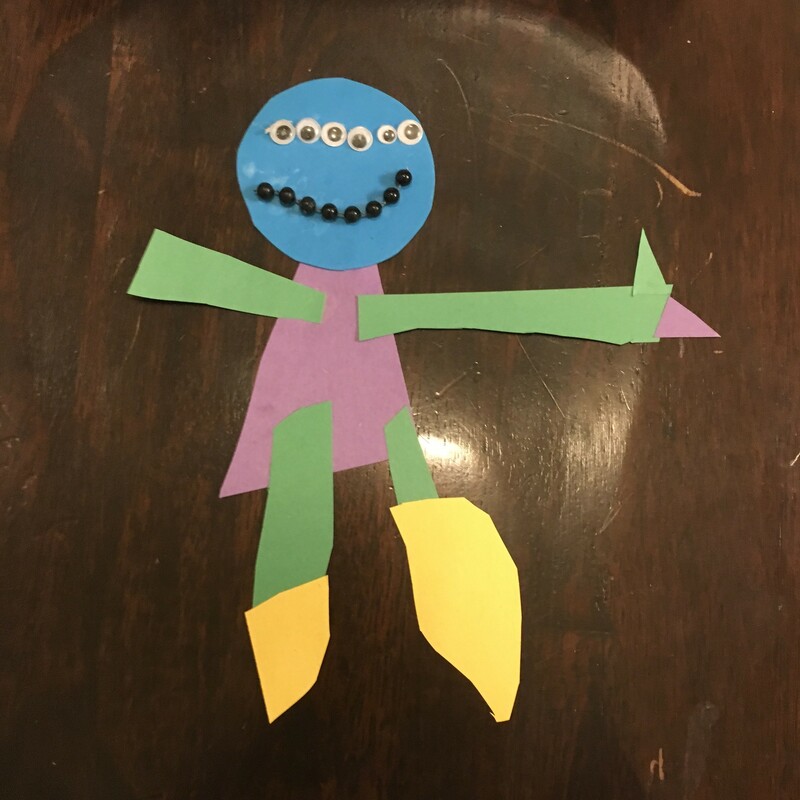 I grew up making crafts in my Grandma’s basement. There she taught me how to sew, knit, crochet, and just how to make all sorts of different arts and crafts. Every weekend it was something new. 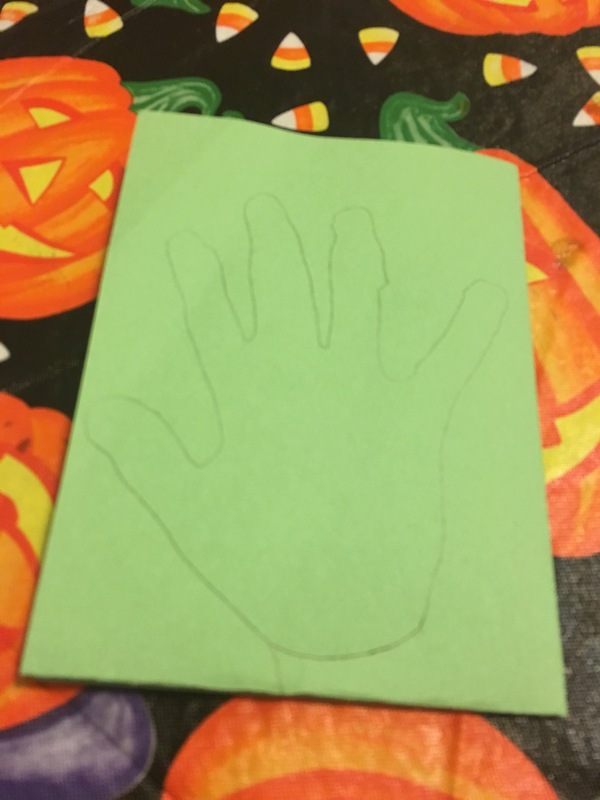 Every time Anthony and I do an arts and crafts project together, it reminds me of the special time I got to spend with my grandma. 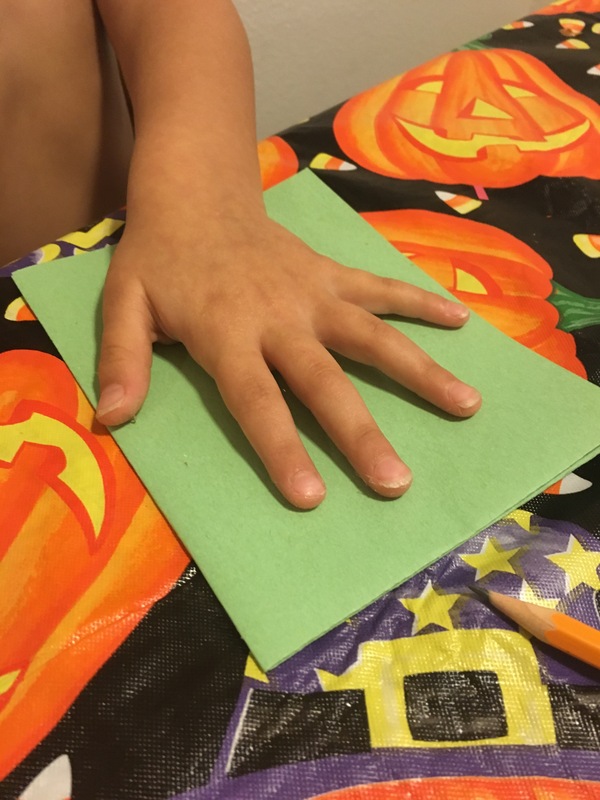 The one-on-one bonding time, letting our creative sides flow, and just creating all sorts of different projects. 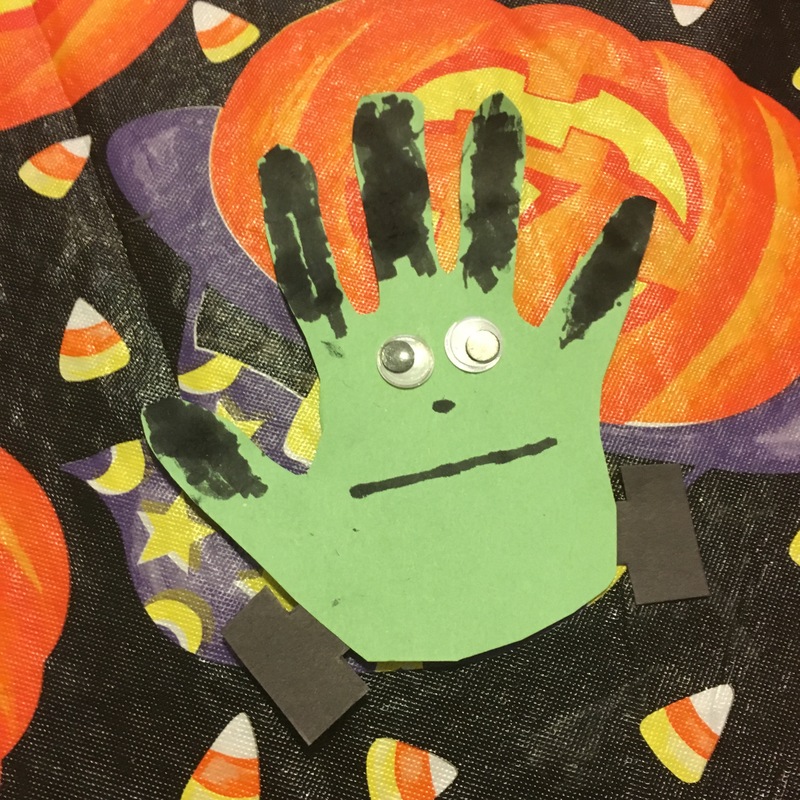 I’ve always loved Halloween, but have never really decorated for the occasion. Over the past couple years, I have gathered a few decorations here and there, but still nothing significant. 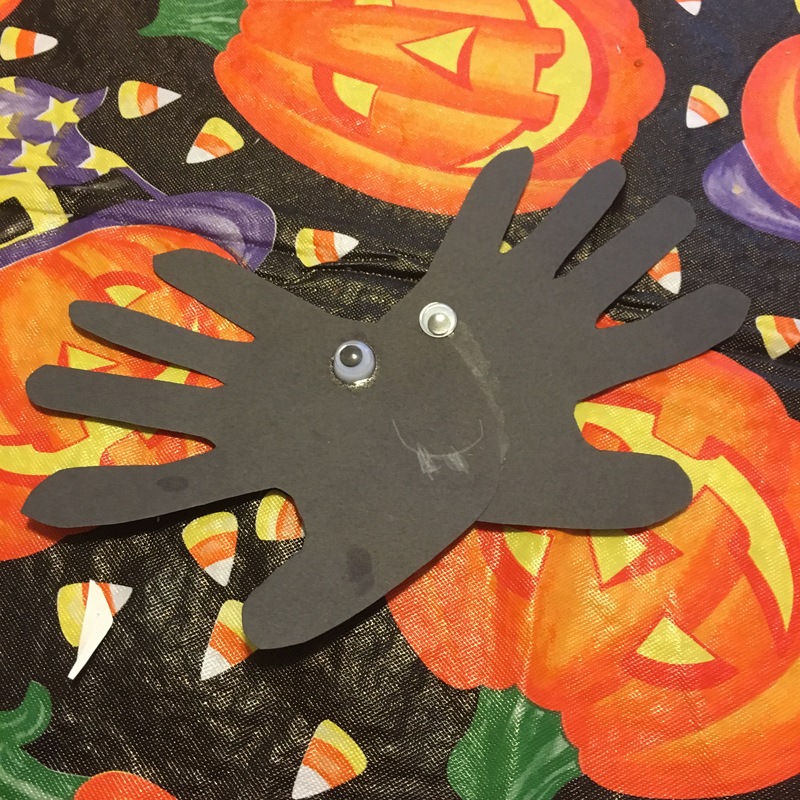 So this year, and since I’m off work, instead of going crazy and buying a bunch of decorations, I checked out trusty old Pinterest, and came up with a few great homemade Halloween decoration ideas. 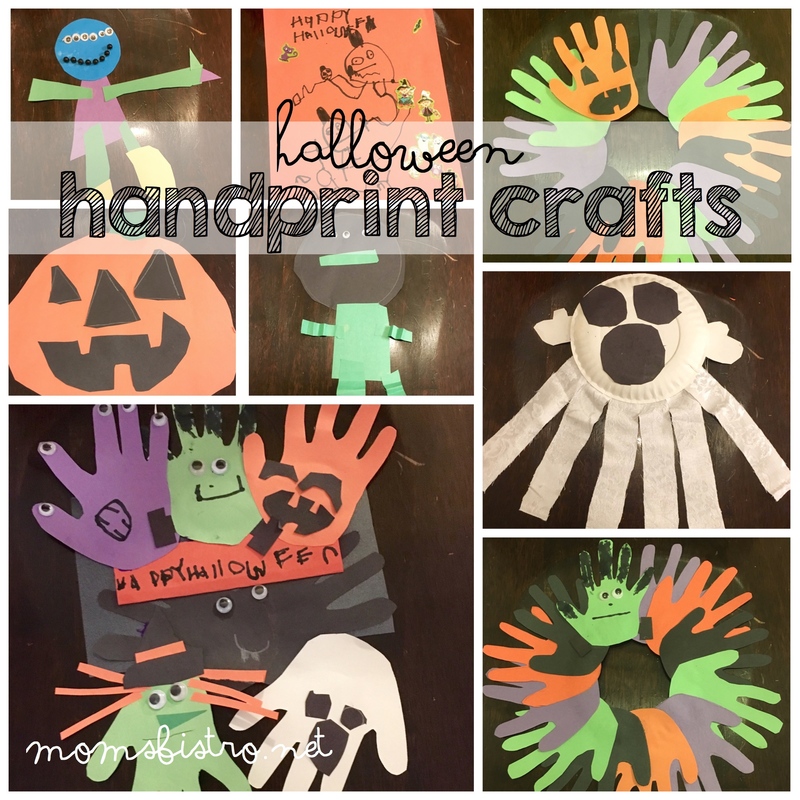 These Halloween Handprint Wreaths are very easy to make and take no time at all. 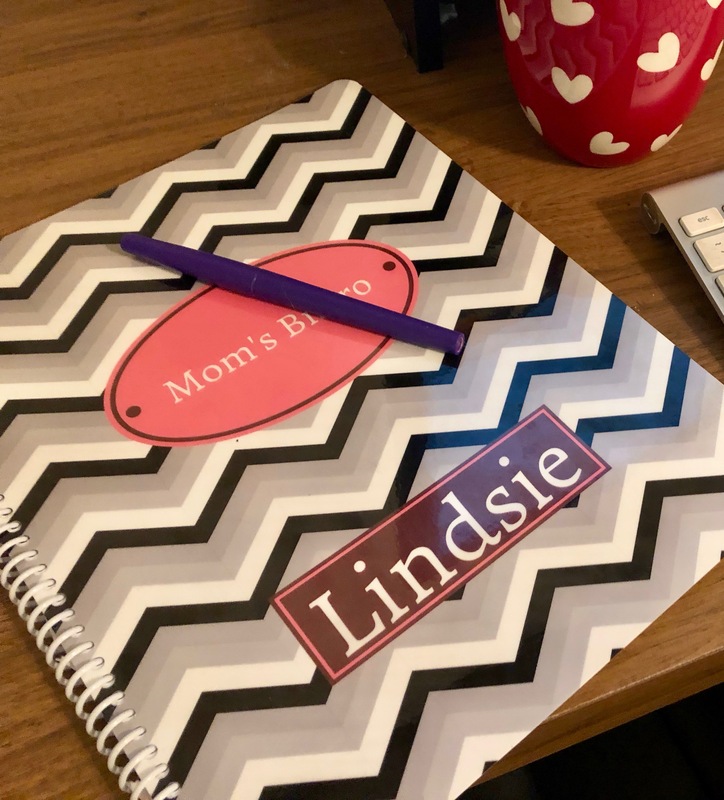 You’ll probably find most of the supplies laying around your house, and if not you can buy all of these items at the dollar store or in the craft section at Walmart. 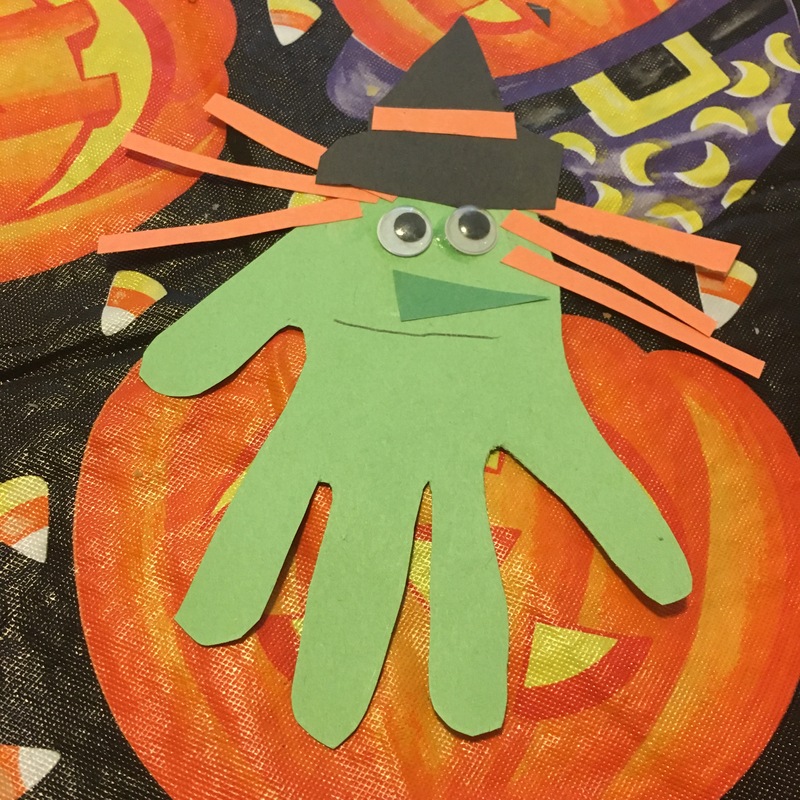 The first step to make these Halloween Handprint Wreaths is to trace your kiddos hand on your different colors of construction paper and have them cut them out (or you can do this if your kiddos are still too small). 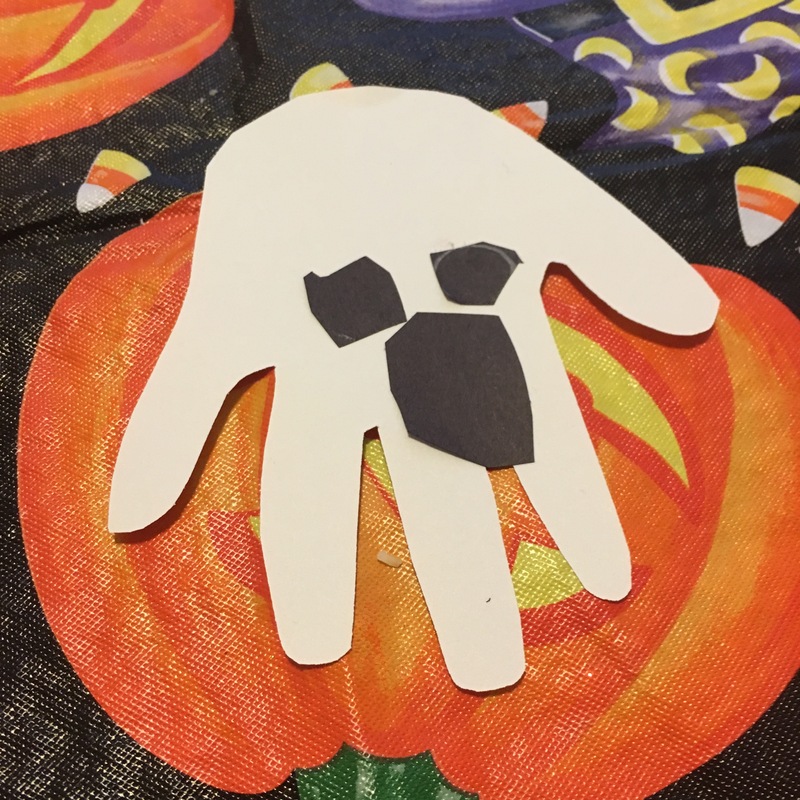 To make this process go a little quicker, I folded my paper in 4, and then traced Anthony’s hand so when we cut it out, we had 4 hand prints in each color. 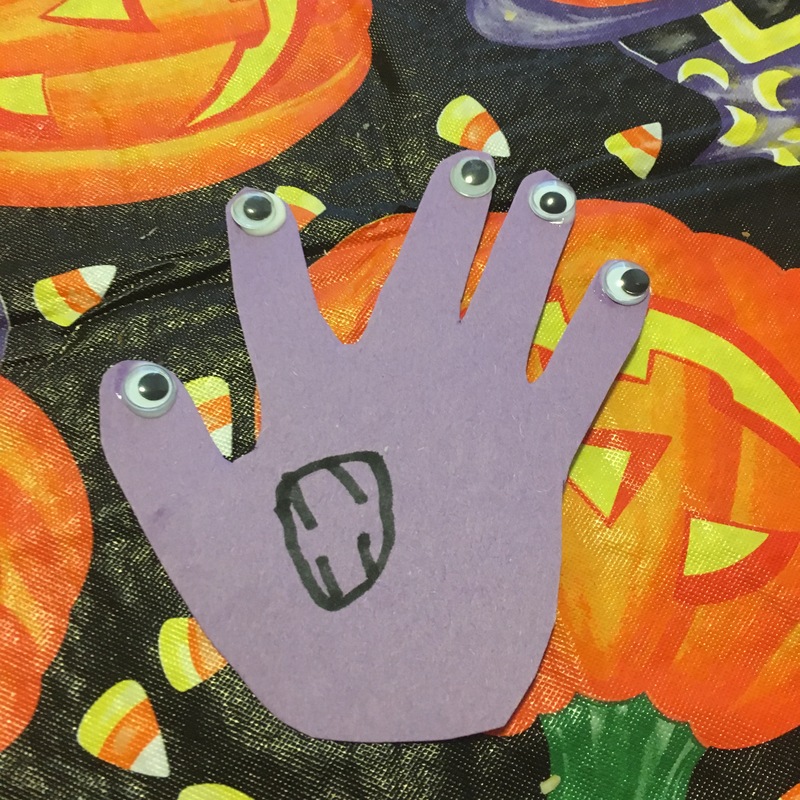 Next, decide how you want to decorate your handprint. 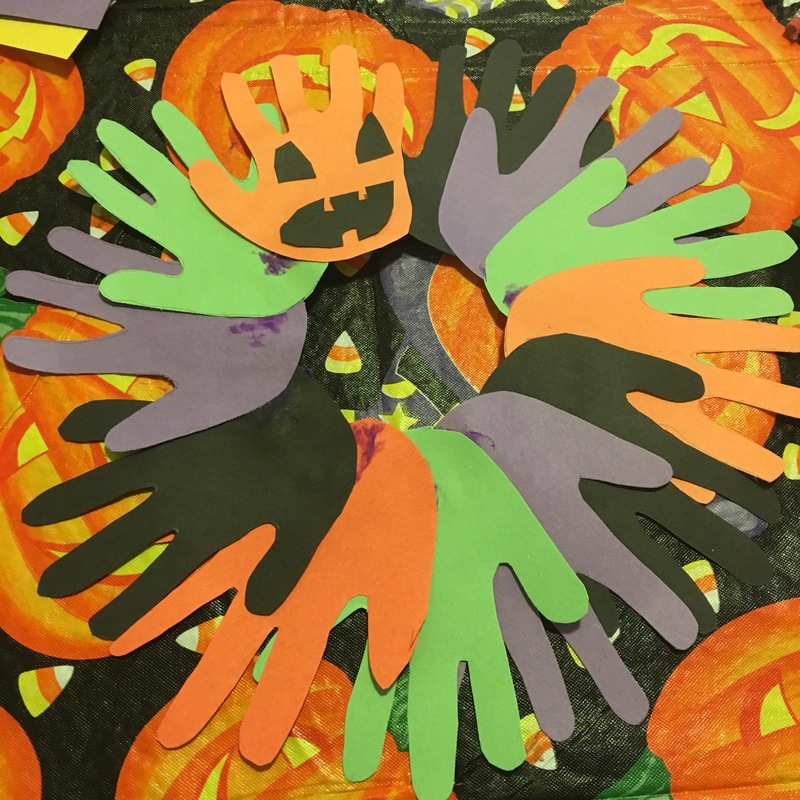 I wanted to make a couple different Halloween crafts when we made these wreaths, so Anthony and I decorated handprints in every color to look like all sorts of different Halloween things like; frankenstein, a jack-o-lantern, a ghost, a witch, a monster and I even glued two hands together to make a bat, or a spider.. or something of that nature. 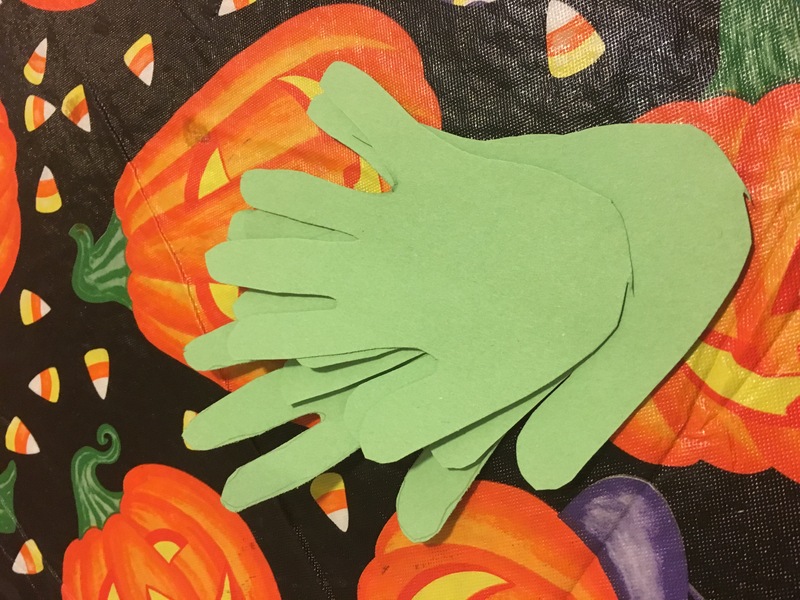 Using the decorated handprint as a starting point, make a pattern with the remaining colors of handprints. 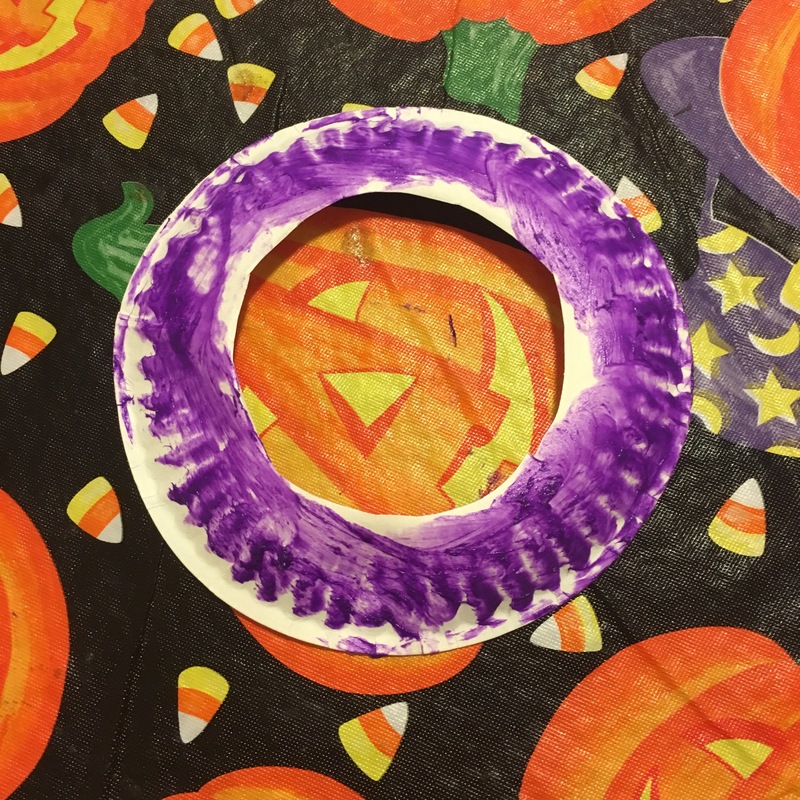 After you have decorated the handprints and made a pattern with the colors, cut a hole in the middle of your paper plate and carefully cut away the middle of the plate, leaving the ridged outside to glue your handprints on to. 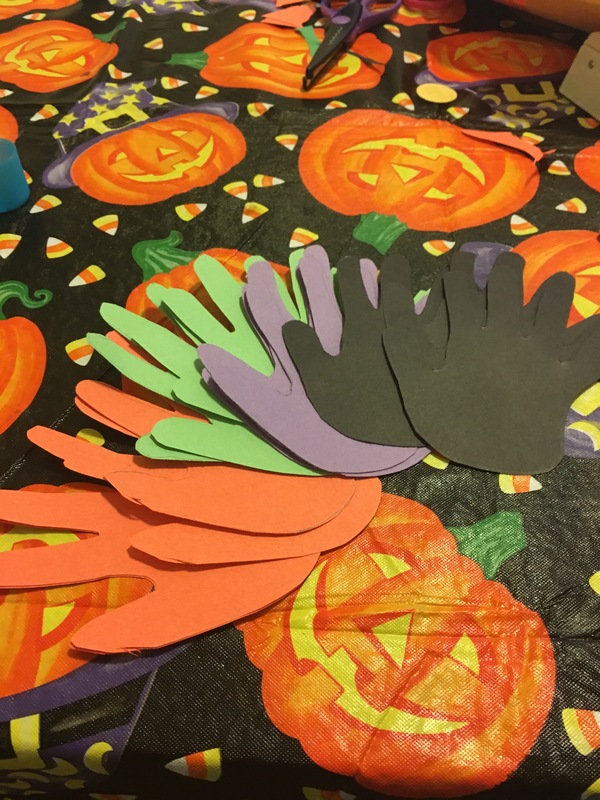 Completely cover the paper plate in glue, and start placing handprints on the glue, starting with the second handprint in your pile (the one under the decorated handprint). 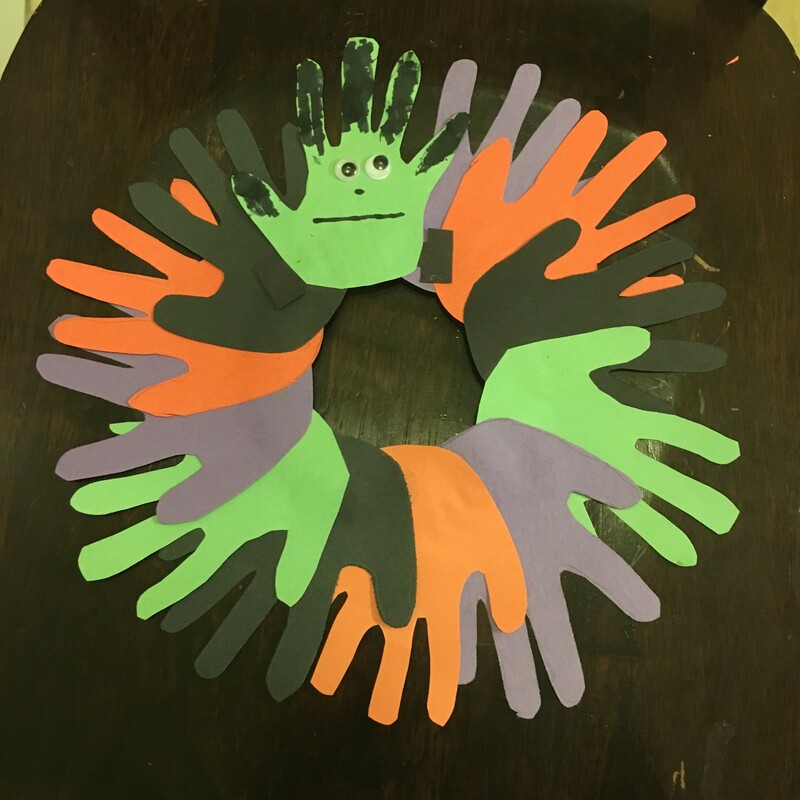 Add a little bit of glue to the handprint, and keep assembling, all the way around the wreath until you have reached the end. 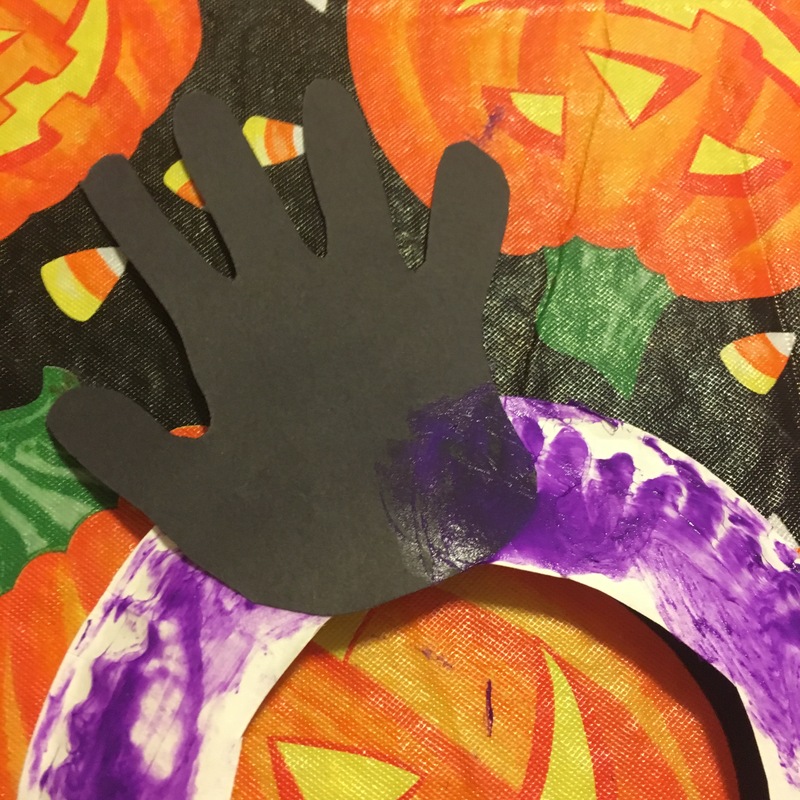 Add a little more glue to the handprints and the wreath, and place the decorated handprint over the hands, to cover up any remaining paper plate, and finish the pattern. 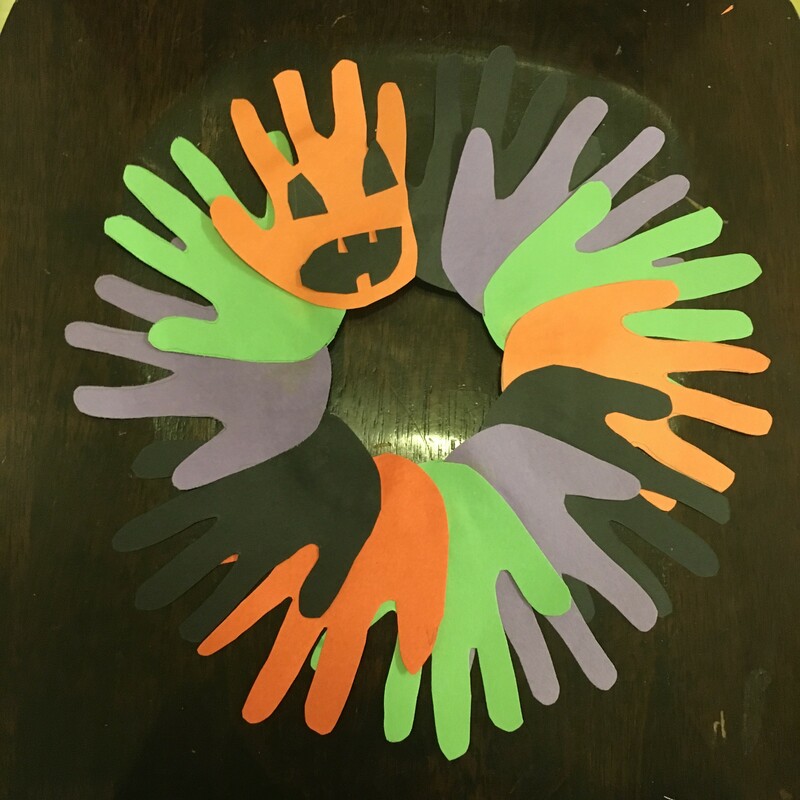 Place wreath aside to dry for at least an hour, and then have your kiddos write their name on the back and surprise grandparents, with a precious Halloween Handprint Wreath! 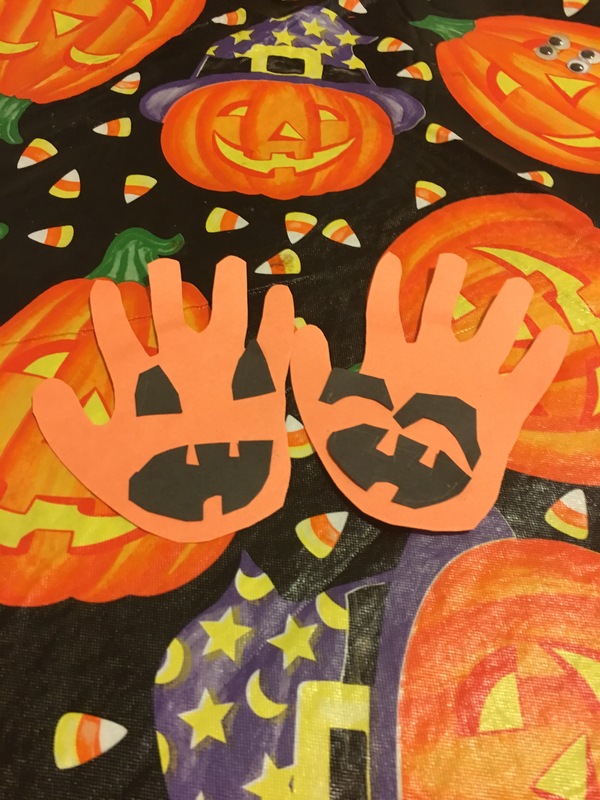 Anthony and I were so inspired by making these wreaths, we decided to make a couple other easy Halloween crafts! 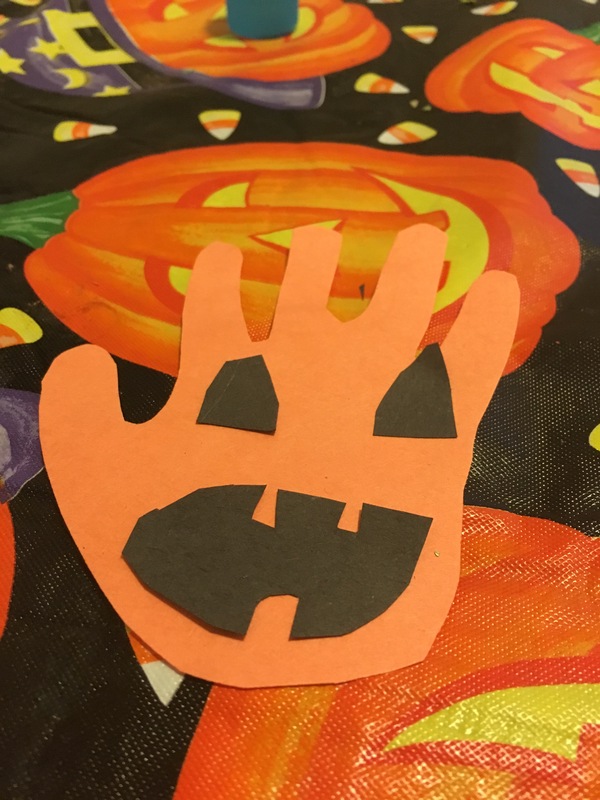 I used all of those extra Halloween Handprints to make this simple Happy Halloween Sign. 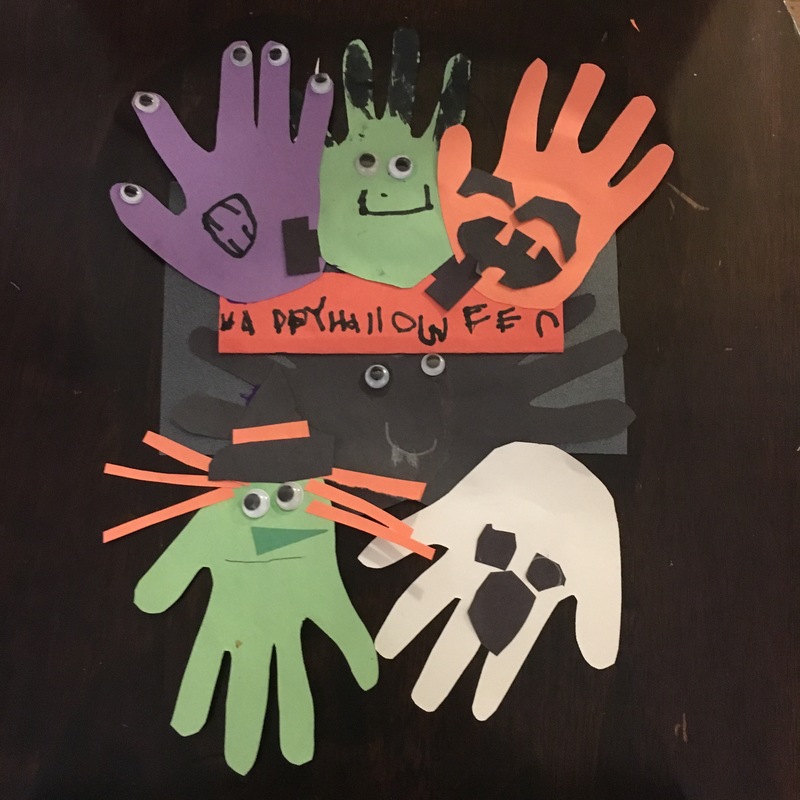 I had Anthony write, Happy Halloween on a piece of paper, and I glued his cute little Halloween Handprints all around it to make a perfect front door sign for Halloween! I just know that grandparents would love this one too! 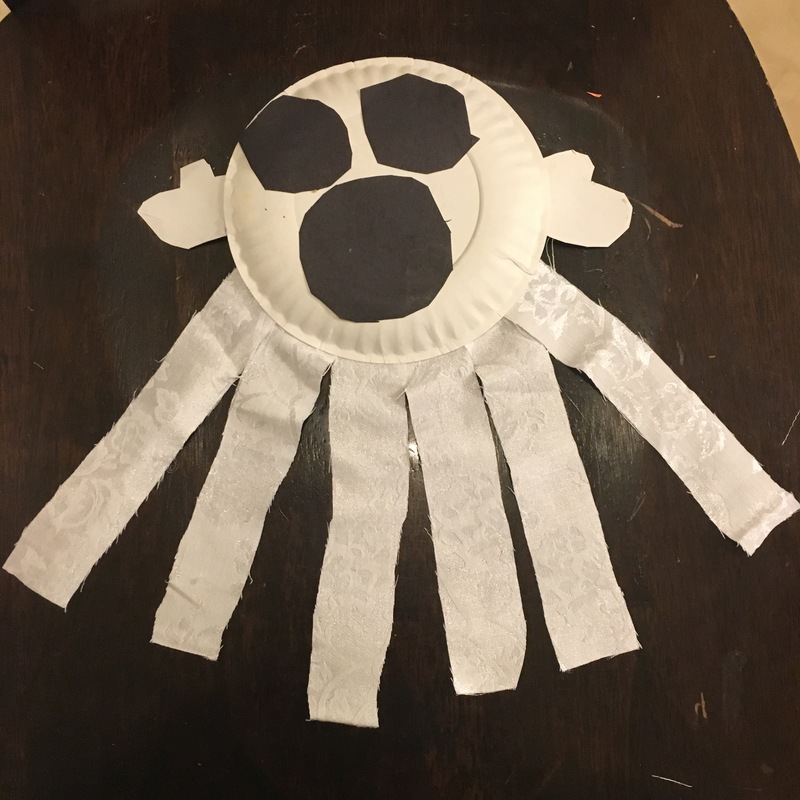 These paper plate ghosts were so simple. 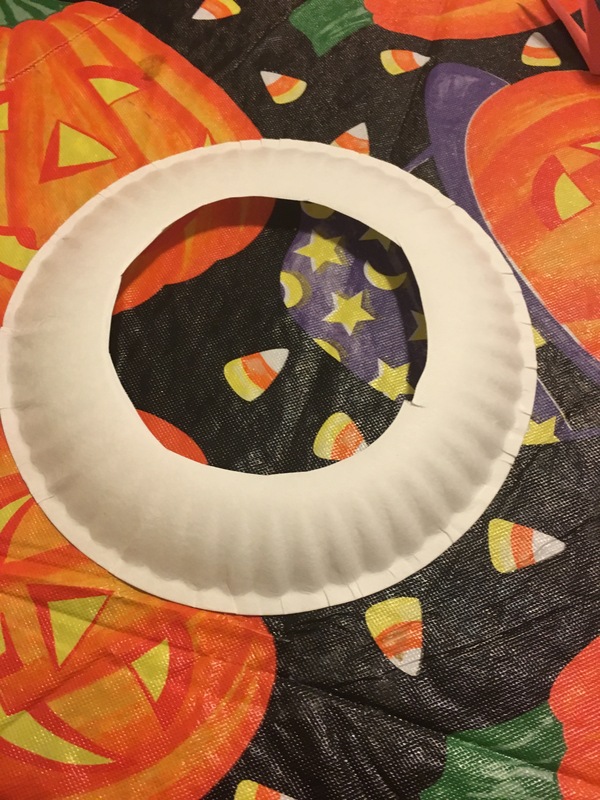 I cut up some old scrap fabric, and Anthony glued it to the pack of a paper plate. 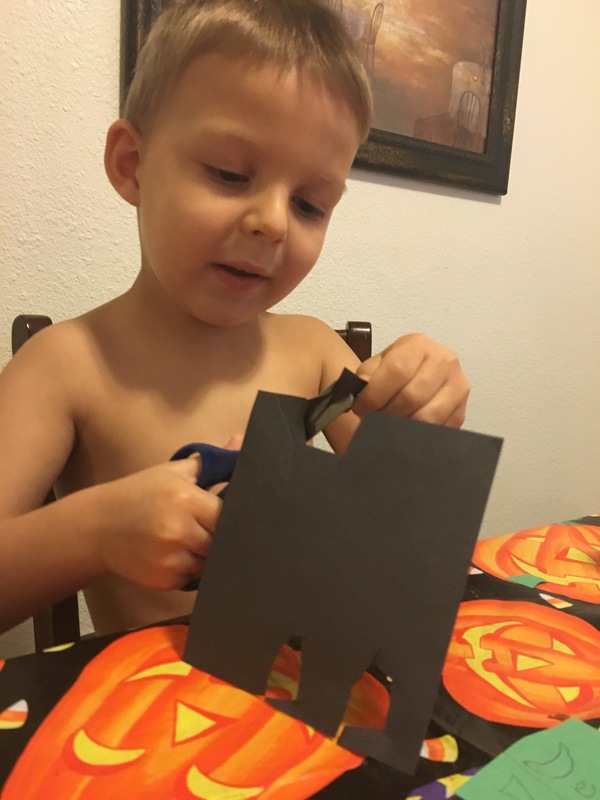 For the face, we cut up some construction paper and glued it on! Doesn’t get any easier! 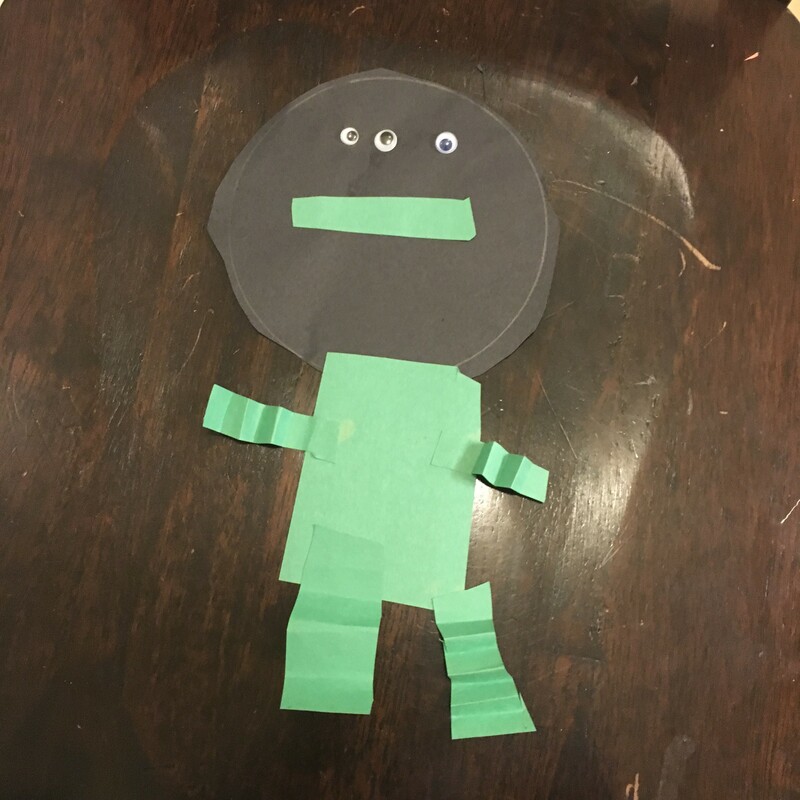 We also made some aliens and monsters out of scraps of construction paper and googly eyes, and we made a jack-o-lantern out of construction paper scraps too! 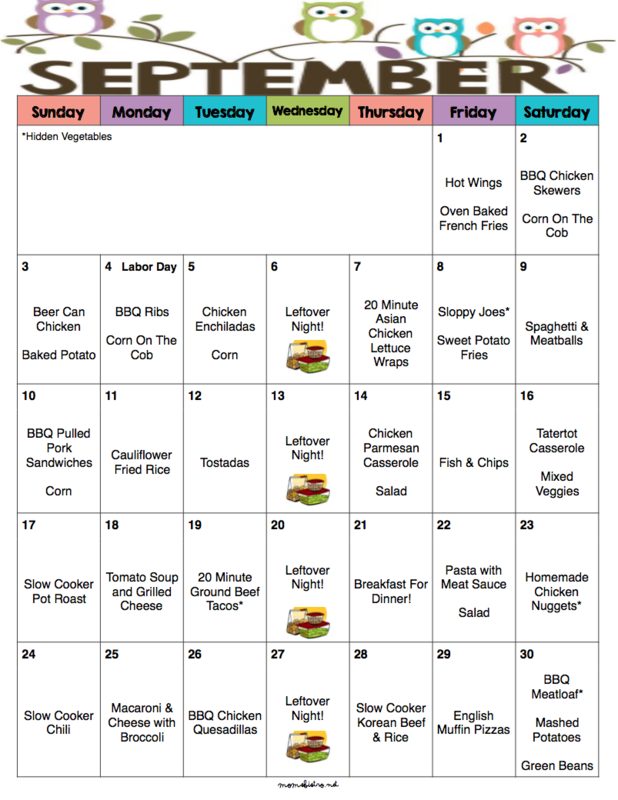 Planning Menus and Decorating Doors! 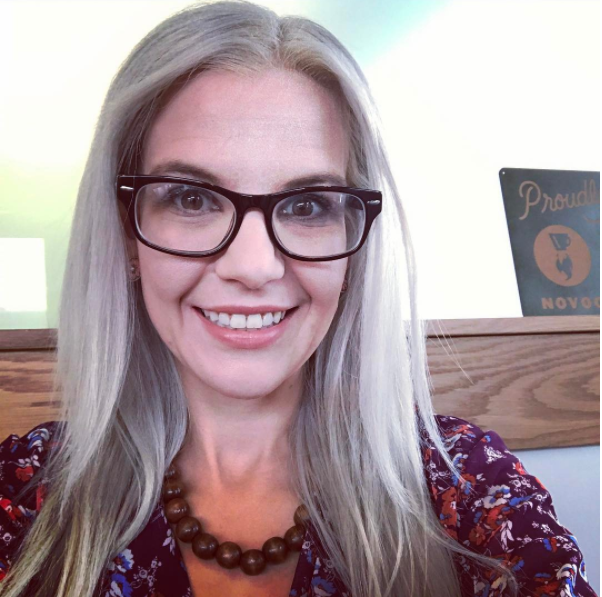 Just So Posh Helps You Do It All!